You won’t find more realistic zombie teeth anywhere. 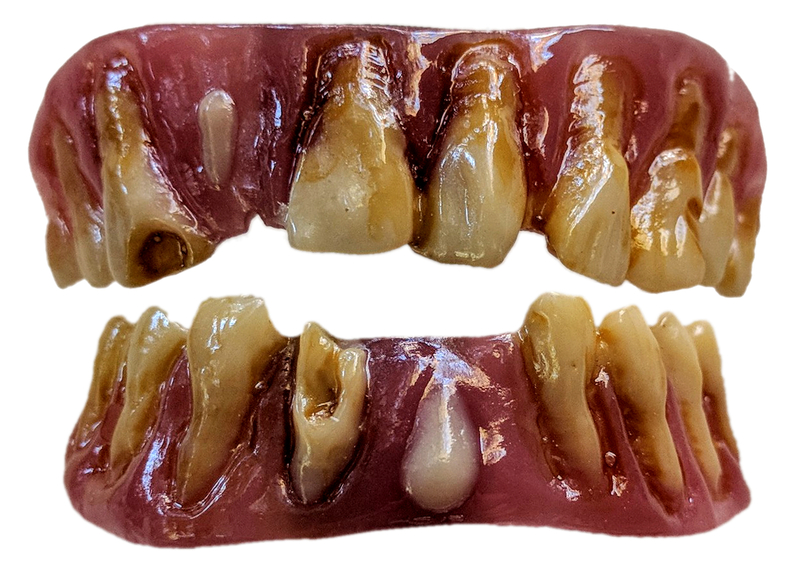 Our “dead zed” teeth will add to your zombie look, giving you that nasty teeth look you’ve always wanted. They are made from high quality dental grade acrylic and are thin but also very strong. They go over your real teeth and once fitted, won’t come loose until you remove them. Hydroplastic, which can be re-softened, is used to secure them to your own teeth and can be re-fitted as needed. You can’t eat while wearing these, but they easily pop in and out. 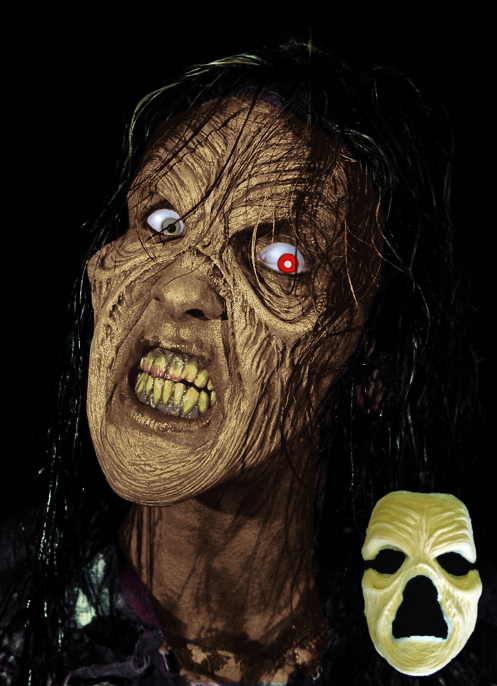 For the perfect mask, check our “withered” zombie foam latex mask.